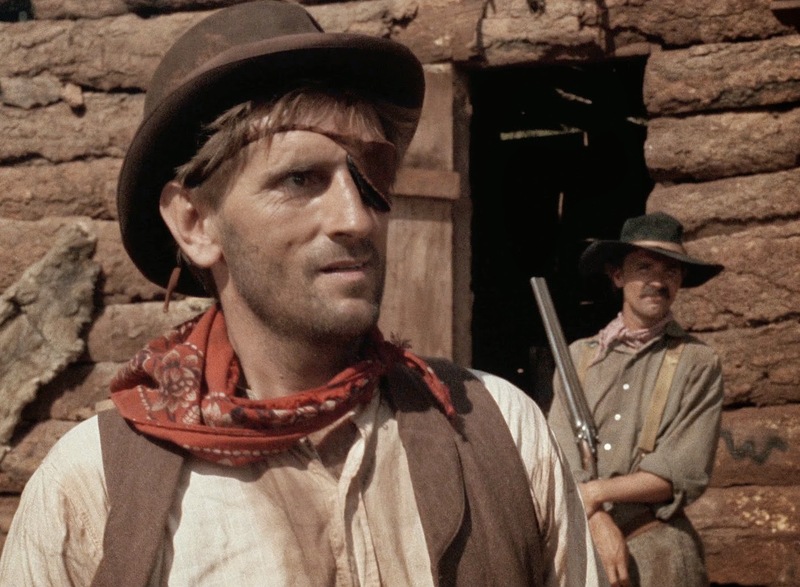 Harry Dean Stanton’s father used to tell him, “Go straight ahead till you hit something.” And so he did, drifting from the small town of Irvine, Kentucky, where he was born in 1926, into hundreds of roles in movies and television. There were stops along the way — a tour in the Navy, a few years rooming with Jack Nicholson — but Stanton most likely wouldn’t dwell on that much. He’d be more inclined to sing a song, light another cigarette, share in the silence. David Lynch advises viewers to watch what Stanton does between his lines. Rarely has a screen presence felt so natural, so lived-in. Each scene reveals a memorable gesture, a mid-sentence smile, a bored exhale. In the World War II caper Kelly’s Heroes, when ordered to intercept an overwhelming number of German Tiger tanks in hot pursuit, Stanton is busy cupping his harmonica, working the vibrato with his fingers. In Cisco Pike, a tale of pot-dealing buskers in 1970s Los Angeles, he’s paired with a young date who remembers one of his old tunes from her junior-high days. “I was in junior high once,” Stanton replies, meekly. It may be filler, something to occupy the gulf between them, but it’s also revelatory, for it’s nearly impossible to picture Stanton as a child, before the creases set in, before he’d clocked a thousand hours in matinee Westerns, before he learned all of those songs by heart. But even Harry Dean Stanton came from someplace. 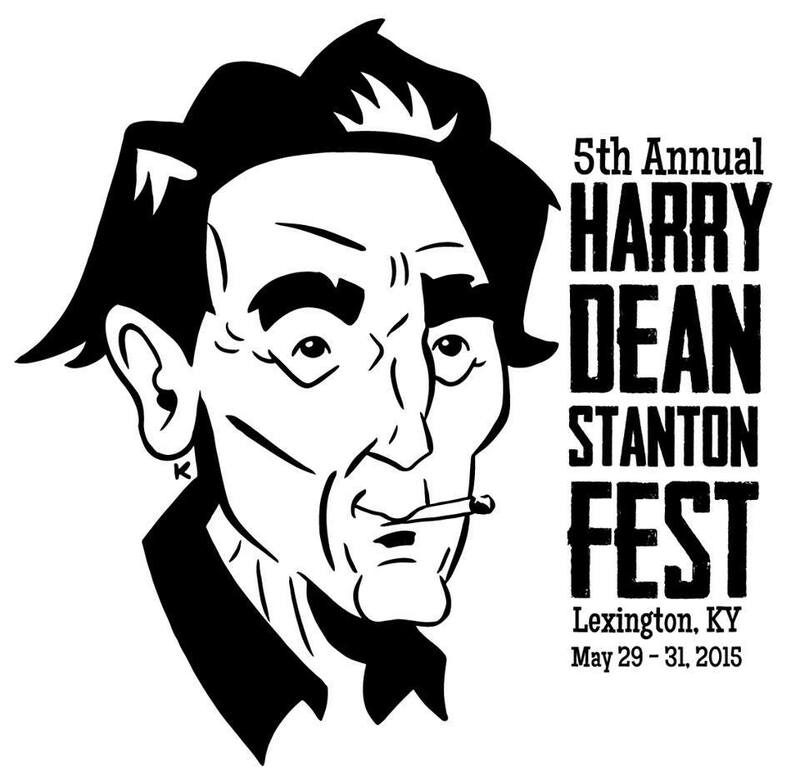 Last month, in the city of Lexington, where Stanton attended the University of Kentucky, the laconic character actor was the star attraction at the fifth annual Harry Dean Stanton Festival, curated by another native Kentuckian, Lucy Jones. Inspired by a childhood trip to a film festival honoring James Dean in the star’s hometown of Fairmount, Indiana, Jones decided Harry Dean was just as worthy. And though Stanton traveled from his adopted home of Los Angeles to Lexington in 2014, he was unable to attend the festivities this year, which seemed strangely fitting. 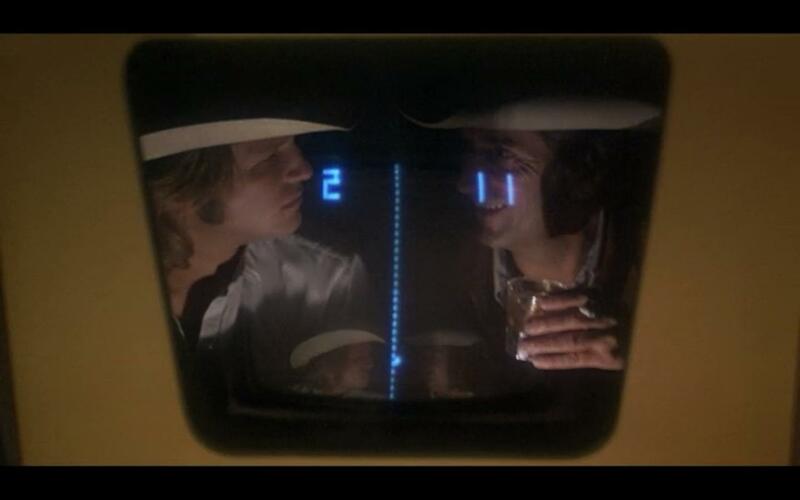 As with most Harry Dean Stanton movies, you’re always waiting for him to appear. For an actor defined by stillness and contemplation, it’s remarkable how many of Stanton’s roles revolve around travel and escape. He’ll hop a ride however he can. Plowing through sledgehammers in a station wagon down Broadway in Escape From New York. Fleeing a jewel heist on foot in Straight Time. Treating a car as a roving coke-snorting surface in Repo Man. Slinking out of a paddy wagon in Cool Hand Luke, the film in which his nickname-obsessed prison mates need only one glimpse to peg him. His bull-gang name from now on would be Tramp. 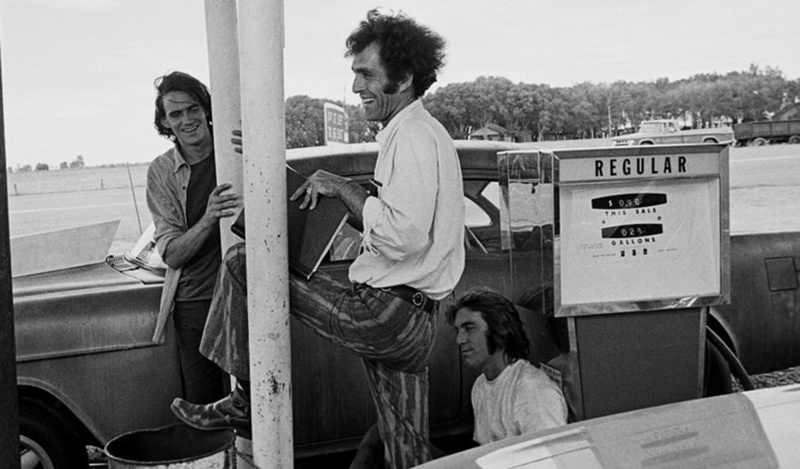 In 1971, Stanton sauntered into one of the quintessential American road movies, Monte Hellman’s Two-Lane Blacktop, which opened the three-day festival on May 29. The screening was presented drive-in style on the grounds of a shuttered bourbon distillery in Lexington, free of charge. When Stanton finally made his entrance onscreen, as an obliging but possibly lecherous hitchhiker sharing a ride with Warren Oates, a fellow Kentuckian, ripples of applause broke out across the parking lot. The wait had been worth it. Since well before dusk, cars had been lining up and getting situated. Among them was a ’55 Chevy parked in a prime spot up front — a near facsimile of the car James Taylor and Dennis Wilson labor over in the film. Before showtime, moviegoers were settling in along the Town Branch waterway, drinking by the fire pit or untangling dog leashes. One searched along the edge of the Break Room bar for a power outlet so she could connect her speaker. (Audio from the movie was beamed out that night courtesy of 97.5 FM.) Another was looking for a cigarette. “There’s the ultimate van with a ladder; go ask them,” a friend suggested. Beneath a giant, rusting water tower, Jones fielded salutations from the crowd before queuing up the movie, just as the sky reached its deepest blue. Soon, the engine roars that christen the film were ricocheting across the packed parking lot, encouraging a few copycat purrs. The festival provided a kind of counterprogramming during a weekend when families in lightweight formalwear were funneling into Rupp Arena for high school graduations on a mass scale. Costumes were recommended for a Twin Peaks homecoming dance hosted at a local bar on the second evening of the festival, in honor of Stanton’s appearance in Twin Peaks: Fire Walk With Me. Throughout the night, a cover band crooned David Lynch standards beneath paper lanterns draped in the zigzag floor pattern from the Black Lodge. A few Laura Palmers circulated the room. One wore a plastic body bag. On the closing day of the festival, Hellman, remarkably spry in his eighties, served as guest projectionist for a screening of his 1974 curio Cockfighter. (Having cased out the screening room at the Lexington Public Library beforehand, Hellman chose his preferred method of exhibition: Cockfighter on Japanese Blu-ray.) In the film, photographed by the great Néstor Almendros, Stanton costars as a gambler ambling through the Georgia backwoods in two-tone shoes flecked with chicken blood. When he triumphs in the ring over a cocker played by Oates, cash isn’t enough. Stanton also claims Oates’s car and mobile home. Always on the move. Always a new means of escape. The festival also offered a rare screening of Rancho Deluxe, a screwball send-up of ranch life released in 1975 that allows audiences to luxuriate in a long take of Stanton playing Pong in a Montana saloon. Earlier in the film, Stanton takes to the skies, patrolling for cattle rustlers through the bubble canopy of a two-bladed helicopter alongside Richard Bright, his costar in The Godfather: Part II.3 In Rancho Deluxe, Stanton survives an inside job to fleece his boss but still winds up with his wrists in cuffs. After the Rancho Deluxe screening, a Kentuckian still shaking off laughter peppered me with questions about the movie, adding that it was his eighth or ninth viewing. “Still gets me every time,” he said. The next night, at a screening of Hellman’s 1966 acid Western Ride in the Whirlwind at the historic Kentucky Theater, I struck up a conversation with a middle-aged car enthusiast from a town near Stanton’s birthplace. He was admiring a velvet painting of Two-Lane Blacktop on display in the theater lobby, one of several paintings commissioned for the festival by Carl Baldwin of the Velveteria museum, based in Los Angeles. The ’55 Chevy in velvet looked good, he said, but the splash pan was slightly inaccurate. To illustrate, he held a model car he’d brought with him against the canvas. “See the difference?” he asked, eyebrows perked. The model car was autographed by Richard Ruth, the hot-rodder who built the Chevys for Two-Lane, and it was now emblazoned with Hellman’s signature in fresh Sharpie. The collector then delighted in sharing that the ’55 Chevy I’d spotted at the drive-in at the old distillery was his. Perhaps this explains why few images are as indelible and cinematic as Harry Dean Stanton in the driver’s seat, or wandering down an empty highway. The film that explores these dimensions in the most depth may be Paris, Texas, one of the few, if only, films where Stanton receives top billing. Having survived in the desert on foot, Stanton’s character, Travis, finds himself reconnected with family in the San Fernando Valley suburbs. Tired of windshields, he spends his nights outdoors, polishing cowboy boots and staring out at flight paths. The clammed-up father on a vow of silence is soon having in-depth conversations with his young son, Hunter. Even when he drives a pickup truck bound for Houston and Hunter rides in back, they stay in touch over walkie-talkies. At the midpoint of the film, Travis shows pictures of his father to Hunter. Hunter asks if Travis feels that his father is dead. “You know when he was walking around and talking, right? So can you feel that he’s gone?” Travis supposes so. “I never felt like you were dead,” Hunter says, referring to the four years Travis abandoned his son while on a walkabout. “I could always feel like you were walking around and talking someplace.” Fortunately, Harry Dean Stanton is still here. He may not be talking much, but he’s someplace. Being still. Knowing. James Hughes is a Chicago-based writer and editor who has written for Slate, The Atlantic, and the National Hockey League. During his stay in Lexington, Hellman mentioned that the studio projectionist at Universal was so angered by the celluloid burn that he cut the ending from the official print of Two-Lane Blacktop preserved in the studio archives. In addition to the Twin Peaks film, Stanton appears in Wild at Heart, The Straight Story, and Inland Empire, along with the 1988 short The Cowboy and the Frenchman and the short-lived HBO series Hotel Room. Stanton’s role in the Godfather universe is small but memorable, as the FBI agent who protects Frank Pentangeli.